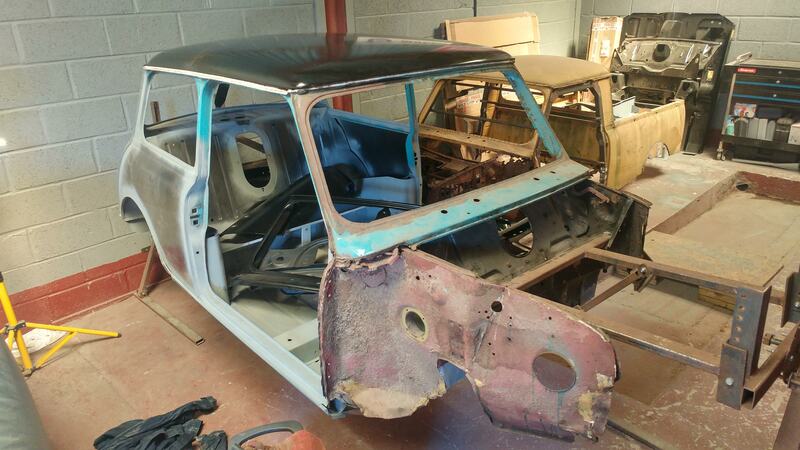 1972 Mini 1000 - Nut And Bolt Restoration. For Christmas I was lucky enough to receive some minispares vouchers from the family which was almost enough to pay for this 7.5 Cooper S brake set up. Is there a better feeling than getting nice new shiny bits in the post? 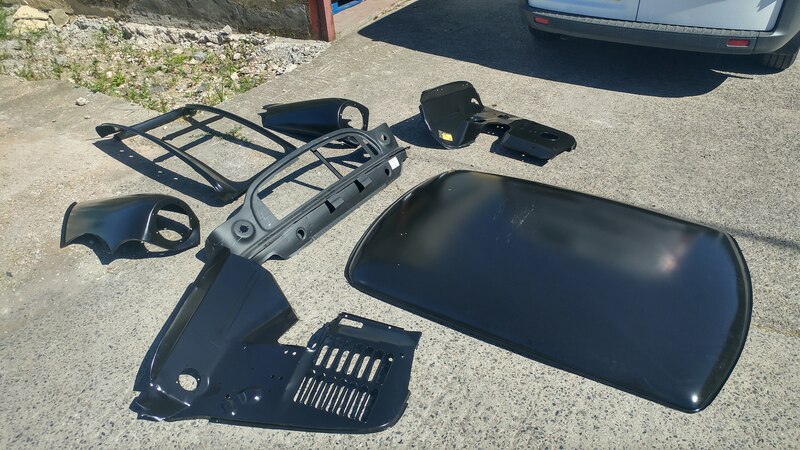 I also bought new tie rods, upper arm rebuild kit, lower arm bushes and pin, bump stops, knuckle joints, ball joints, all the associated nuts, bolts, and washers and a few other bits and bobs to get the front subframe built up as soon as Im happy with the paint finish. 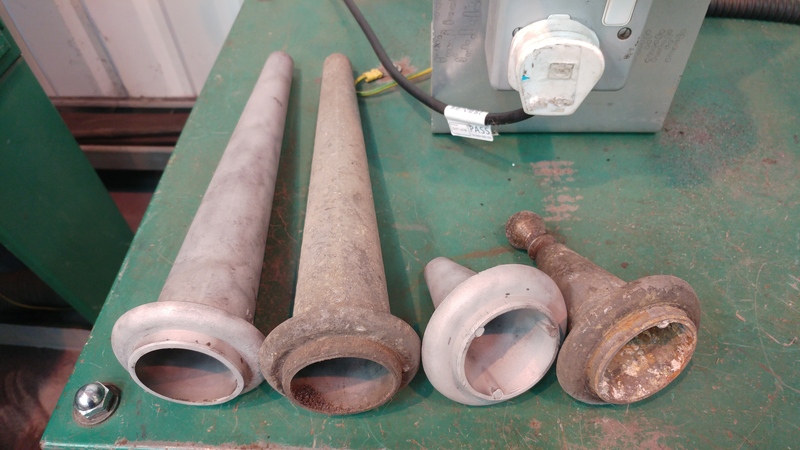 The radius arms have also received a good clean and lick of paint and are ready to have their bushes reamed when I get back into work. 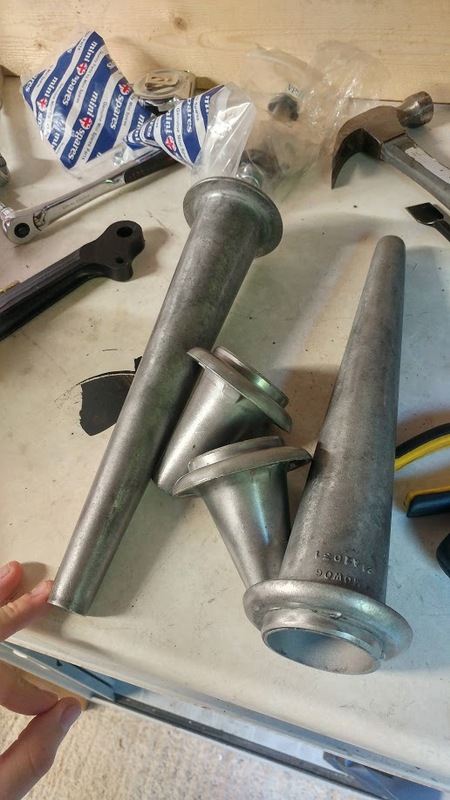 Ive decided to buy part used rubber cones as a temporary measure so I can get the subframes built. Brand new ones will perish and need replacing by the time the car hits the road and I didnt fancy spending £240 on new cones twice over. So Ill replace the used ones with new ones when the car is close to being ready. Edited by SamG, 25 February 2018 - 08:49 PM. This brings us up to today when I managed to steal a few hours to get up the unit a do a bit more work. A few weeks back I got the car back on the spit so I could attack all the penetration on the underside of the car. 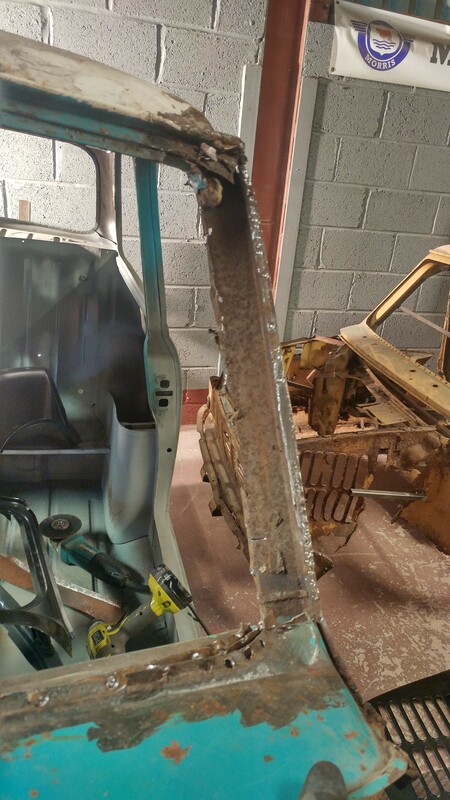 There was lots to grind down as I hadn't touched it since I welded in the boot floor and rear bulkhead. Same old process as before, grinding, painting, grinding, painting etc etc. 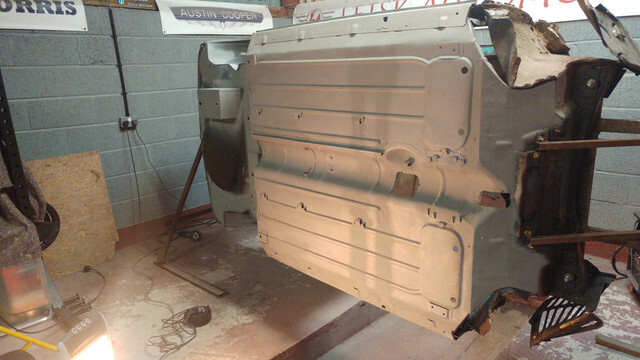 I also cleaned off all the old paint from the bottom of the front bulkhead and painted that too. 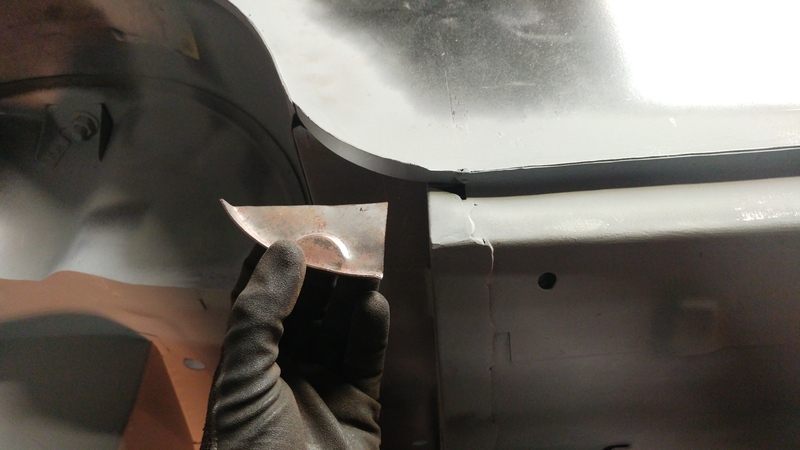 I was waiting for the car to be on the spit so I could plug weld the waist rails to the rear quarters with the help of a little gravity, but in the end it wasn't necessary. At first I didn't think the thin 45 year old waist rail metal would accept a spot welder without blowing out but to my surprise it did! Today I managed to get both sides all spot welded up, cleaned back and painted. Another little job ticked off. Unfortunately I've been struggling to get up to work on the mini recently due to work and family commitments, but I have managed to get the rear end pretty much finished off. 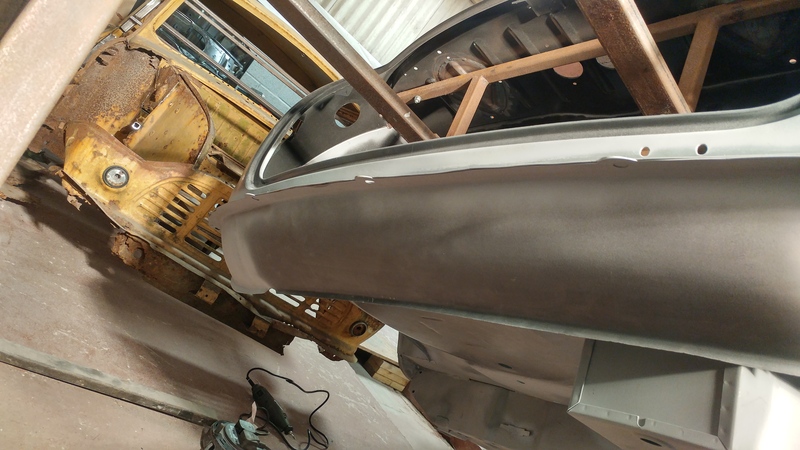 I opted for a Magnum rear valance mainly due to it being less than half the price of a heritage panel. It's the first non-heritage or M-Machine panel I've gone for and although the steel is noticeably thinner, the fit was more than acceptable and it lined up well. Along with the valance I bought M-Machines rear valance closing panel/subframe mount panel. I didn't take any pictures of it all clamped up but it all fitted together well. 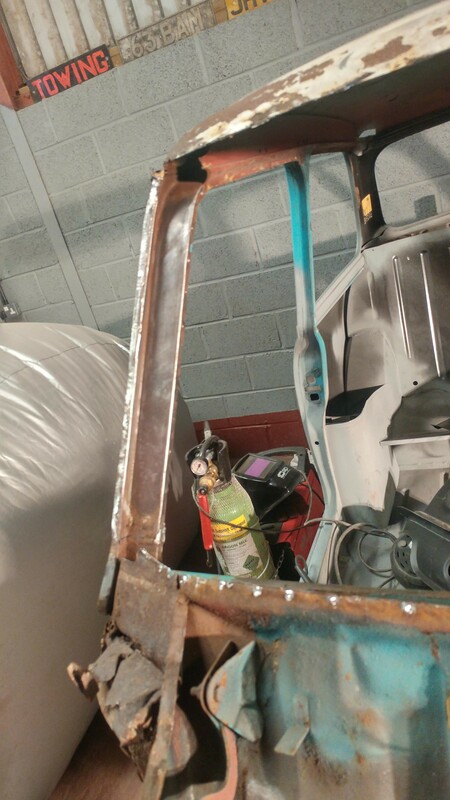 Here's the O/S closing panel tacked in place ans spot welded to the valance. 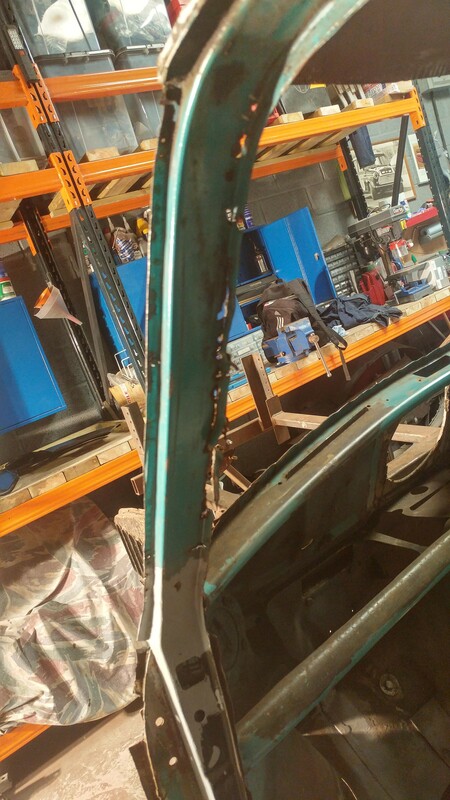 Note the ropey seam weld along rear of the wheel arch - I couldn't get the spot welder in there to weld all three panels together so tried to run a seam along the top, not the prettiest but it'll do for now! One of the holes for rear subframe bolt is unavoidably slightly out so that'll need re-drilling later on too. And fully seam welded in place. 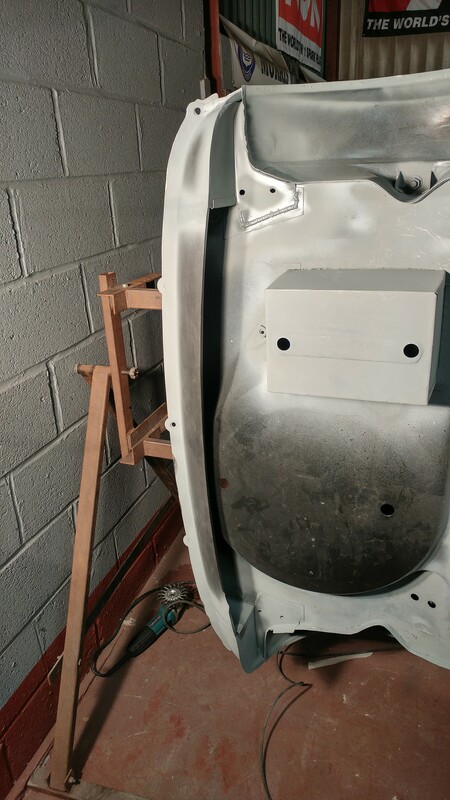 In future I'll also drill holes in the closing panel and plug weld it to the boot floor, not sure why I didn't this time, I think I just got a but of tunnel vision and overlooked it . Here's the other one welded on too along with the valance. And a shot from underneath after welding the valance on. 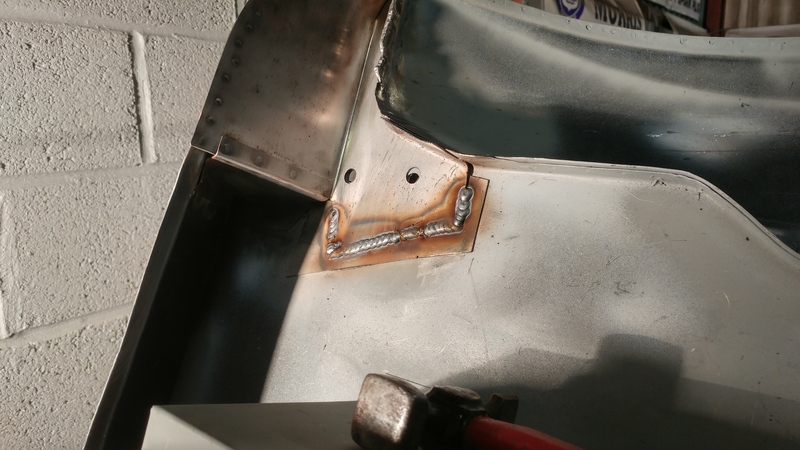 It was all nice and easy due to being nice new steel so the spot welder took really well to it, it was just a slow process as the duty cycle only allows 2 welds per minute. 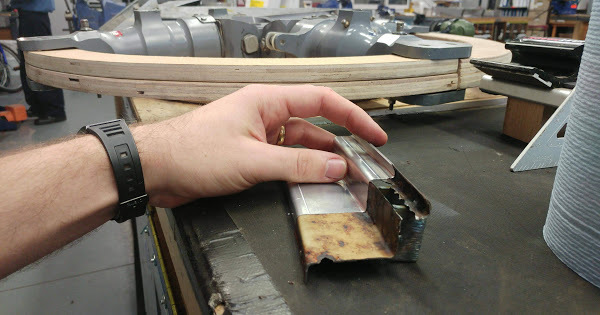 I also made sure to crank it up as it was essentially welding a 3 panel sandwich. The only bit I'm not happy with is the the very ends of closing panels not mating with the end of the valance as you can see. I put this down to a slightly incorrect profile shape on the M-Machine closing panel but it won't be too much work to quickly knock up a piece to fill it in. I've also got both of these little closing panels welded in place but don't have any pictures, I'll take some when I get back up there during the week. I've been using the shot blaster at work a fair bit as I try and get all the subframe components ready for assembly. This week I managed to blast all the old crap off the trumpets and I'm pleased with how they look. Certainly good enough to use again and not buy new ones. I've got nearly everything together now to build the front subframe apart from a pair of front hubs which I'm trying to avoid buying new. I also need to reassemble my upper arms with the minispares repait kit I bought back along, I'll try and do that this week! So once I do that and source a pair of hubs I can recondition I'll be ready to build the subframe up! looking good - think you'll finish it this summer? This project really gives me hope for mine. Love this! 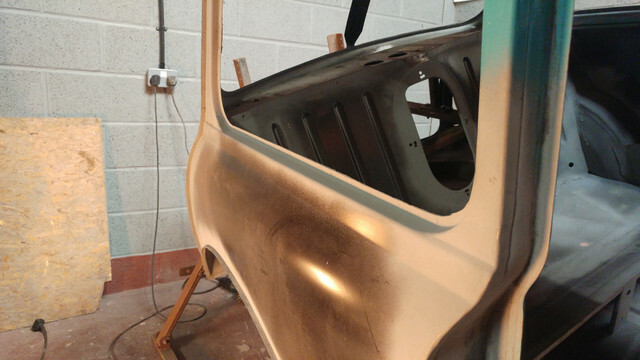 After not much progress over the last couple of months, a change in our circumstances means I've managed to find enough funds to get the rest of the panels I need to complete the body work! As you can see it's all genuine Heritage panels bar the front panel. 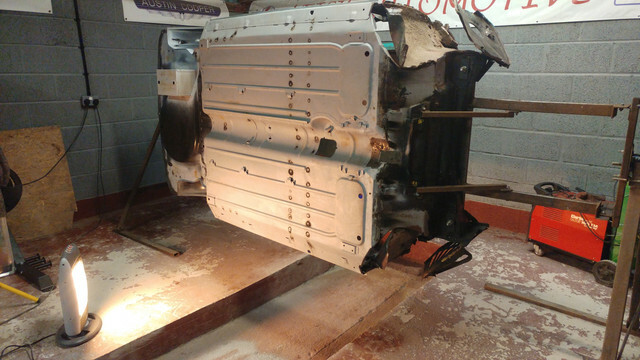 I've read it's one of the better Magnum panels and figured as it's bolted to the front subframe (which I know is straight), it can't be THAT far out! The rest are genuine as I wanted to make sure everything is as true as can be, I'd hate to have spent this much money and time on the car only for the front end to let it down. 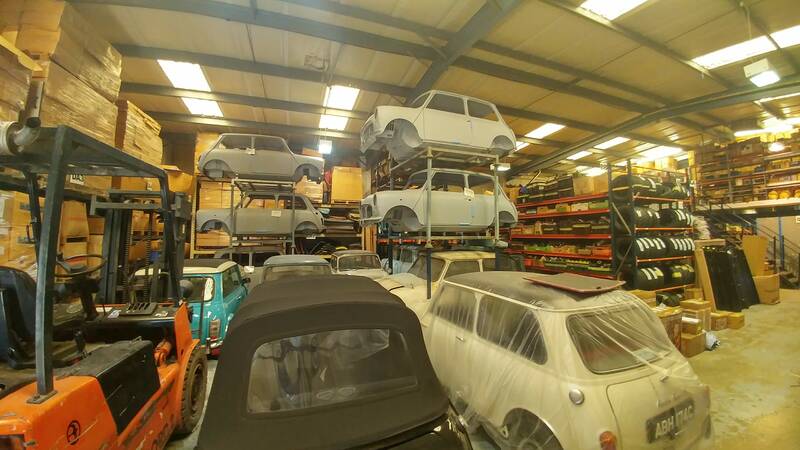 I'm glad I decided to drive up there as it gave me a chance to have a nosey around workshop and all the stock. Really nice chaps up there so give them a go if you haven't done before! Once back I couldn't find anywhere to temporarily store the roof skin so thought it may as well rest where it'll eventually end up! Now I have everything I need to get the shell finished I'm hoping to have an actual update bodywork soon. 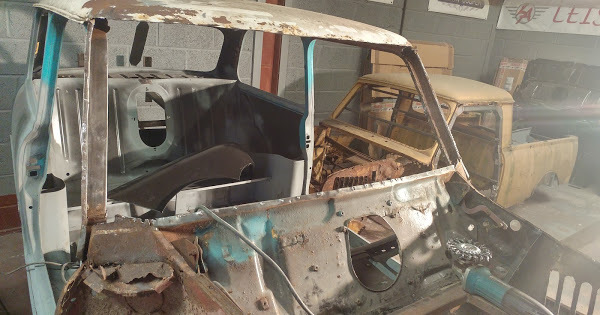 I think I'm going to start with the windscreen surround panel as it means the scuttle will be in the right place ready to start on the front end. I have a vague idea of how to tackle the front end but I'm going to do a lot of research in the next few weeks to see how others have gone about it. Any good threads out there that are worth a read? Edited by SamG, 29 June 2018 - 05:05 PM. Made a start on replacing the windscreen surround today. Ever since I first got the car I'd been actively avoiding looking at the N/S a-pillar as it was an absolute mess and I didn't want to acknowledge it. Changing the windscreen surround meant i could avoid it no longer so that's where I started today. The new panel comes with the gutter and cant rail (with corners) and because I'm replacing the roof skin next anyway I decided to cut along the roof just inside the gutter. 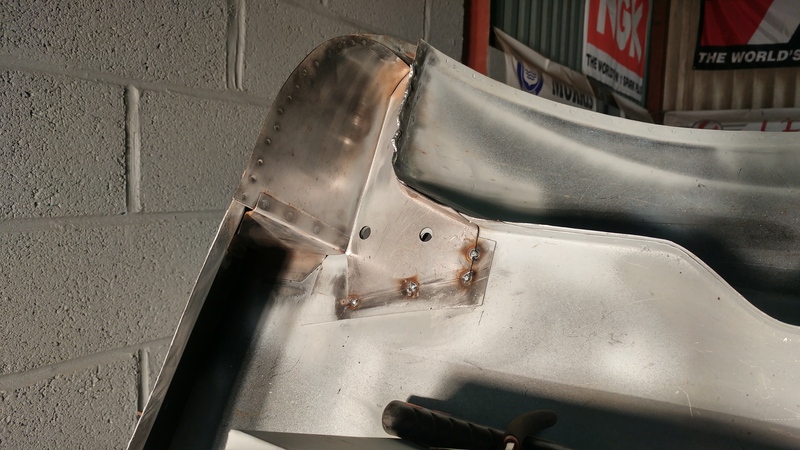 I drilled out the spot welds along the bottom of the windscreen panel whilst managing to save the bulkhead and top dash rail lips. 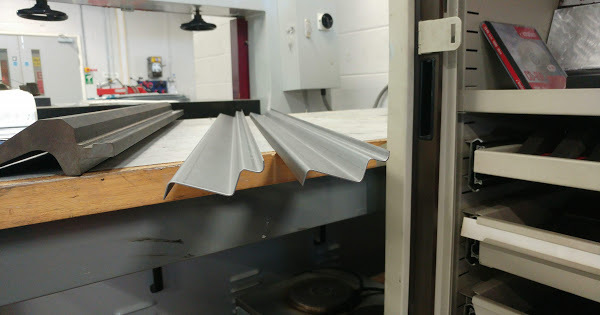 Anyway, I still have the program saved on the bending machine at work so this week I'll knock a couple more of these out (minus the gutter part obviously) and have one ready to weld onto the car in place of the rotten A-pillar. I'm writing this update on my laptop and some of the pictures are uploading normally and some are enormous! They look okay on a phone but stretched and distorted on a PC. No idea why it's happening so sorry for that. My absolute deadline is to have all the bodywork finished by this time next year as the car will be being shipped to New Zealand along with my family and I! Edited by SamG, 01 July 2018 - 07:34 PM. I have bookmarked this and will look forward to the next installment. Edited by MrBounce, 04 July 2018 - 09:49 PM. any progress mate? Its not far off this time next year now!  sadly looks like your pic links have died! Are you still able to make these? Would be interested for my Van if you could!